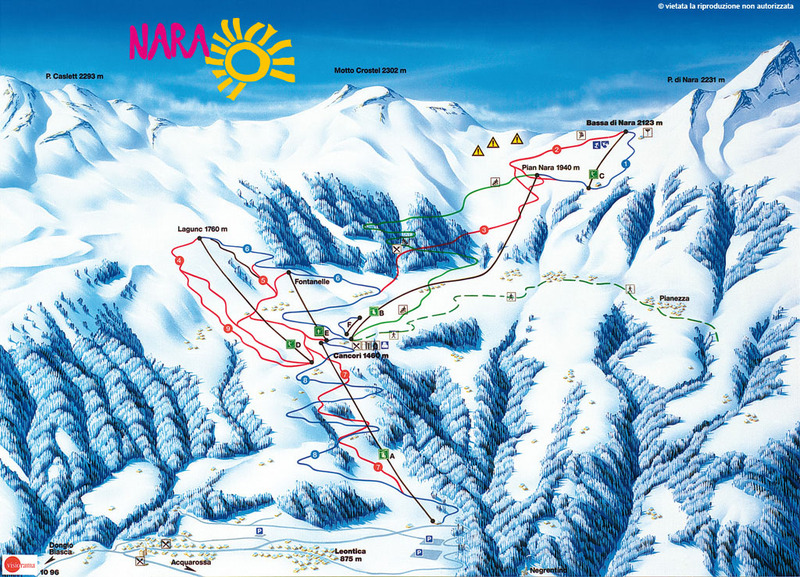 The ski-area is situated on the sunny side of the mountain ridge, between 1000 an 2200 meters above sea level, and offers long ski-slopes for everybody. Indeed, these are ideal for families with children, for extreme sport fans, as well as for snowboarders. For those who don´t ski or just want to take a break, there are many winter trails to explore, from which you can enjoy a wonderful view of the mountains, in particular of the Adula/Rheinwaldhorn group, the "top of Ticino"! For young and less young likewise, we also offer a 10 km long sledding track, unique in Ticino.